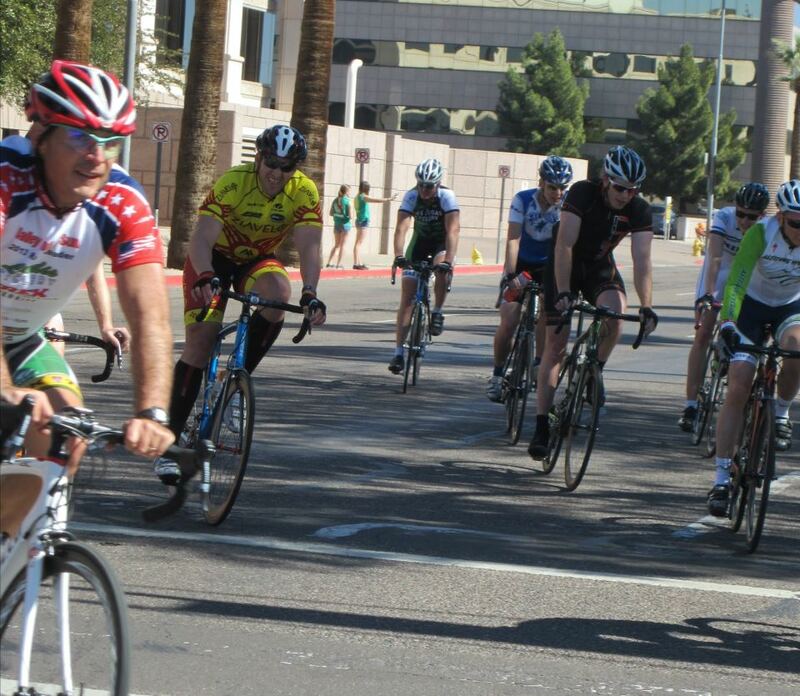 Mike participated in a three-day bike challenge in Phoenix, Arizona over President’s Day weekend in February. He competed in the Category 5 race last year when he was starting up road riding and switched to Category 4 this year. We drove up the night of Valentine’s Day to stay with Mike’s sister in Tucson, which is only an hour and a half away. We spent the whole car ride playing trivia games about each other. It’s amazing what road trips have done for us to get to know each other throughout the years. We should go on a game show! 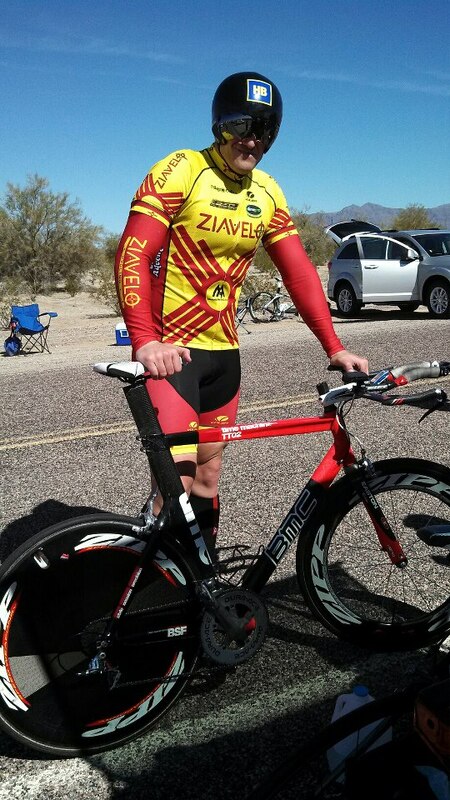 Friday was the time trial on the west portion of the Phoenix area. Last year, Mike placed fourth in his category with a 33:45 minute time. This year he knew he was going to have more competition, so we made it a goal that he would get under 33 minutes. And that is just what he did. His time came out to be 32:20. With that great of a time, he still made 12th place! This year the competition was fierce. Considering the first place person was only 50 seconds from Mike’s place, we will take it! 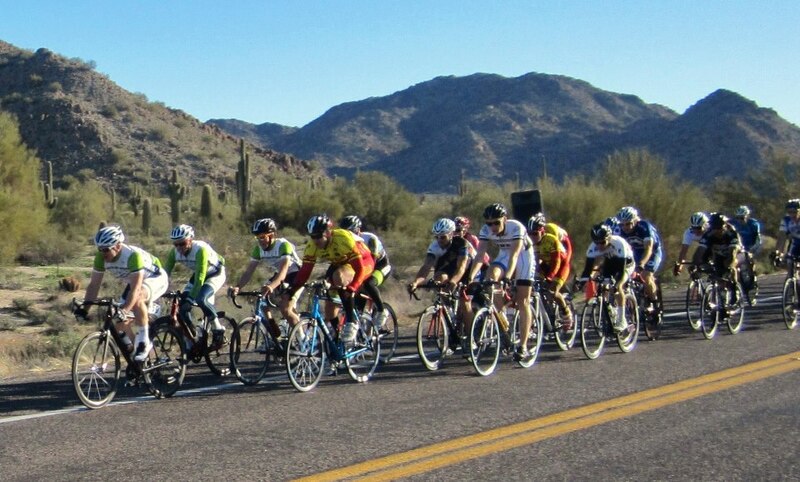 Saturday was the road race in Casa Grande, Arizona. We stayed at a hotel in that area so it was nice to not have to get up as early. Mike’s race was at 11 am. We showed up to watch the other racers take off around the bend. Mike was dropped on the hill the previous year and made it a goal to stay with the pack. And he did! Unfortunately, they put his group on hold at one portion of the race because the racers behind them were catching up with them. I guess this is called “neutralizing” the group (which I think is a little unfair). They had to ride at a slow pace for about five minutes, which hurt their chances of getting ahead. He still was able to stay with the pack and did well! Sunday was a beautiful day to end the racing weekend. 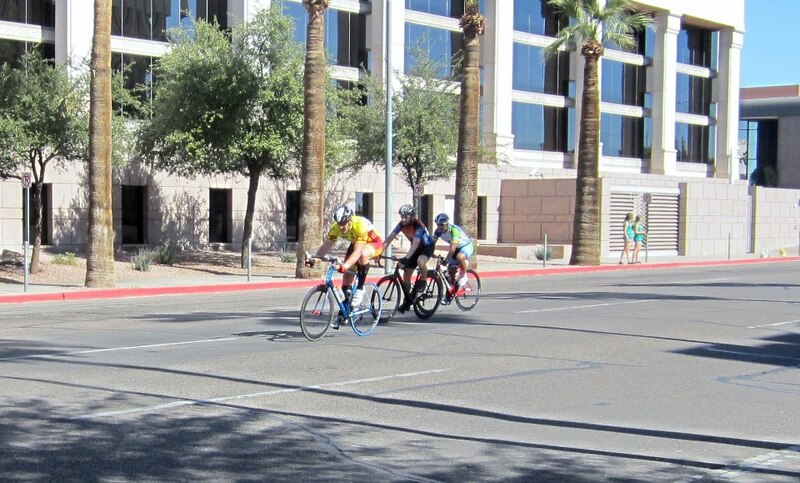 Mike participated in a Criterium race, which means they do many short laps around a block in a half an hour. It is an intense race and it makes me very nervous because of the high speeds and the short corners. His race actually had a really bad crash! Luckily, Mike was not a part of it! He was able to make it with the group at the end. Overall, Mike had a very successful race. He placed 15th overall out of about 75 people. 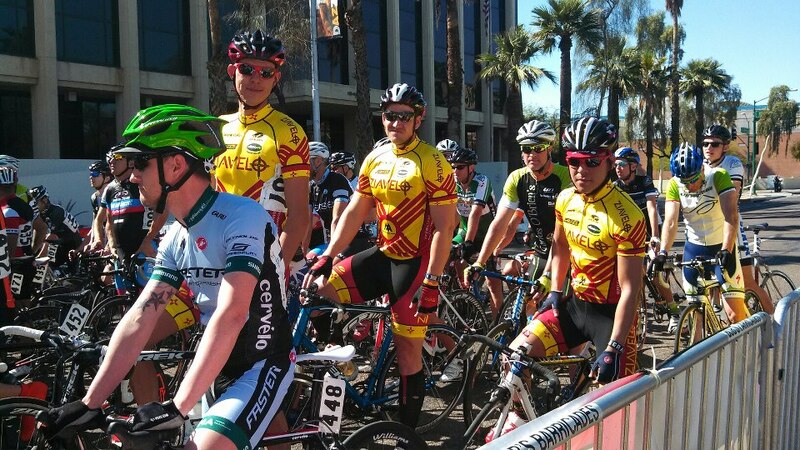 He was able to stay with the group of riders and learn more strategies for his upcoming Las Cruces race.